The DuoSerpe was born with the desire to mix electronic music with radical improvisation in a project that is very reminiscent of the music of the Northern European duo of Arve Henriksen and Jan Bang. Using the electronic manipulations, in real time, the computer becomes a real musical instrument that takes an active part in the improvisation. The trombone is recorded in real time, cyclically reproduced and processed to create soundscapes on which the musical performance is formed, grows, intensifies or becomes rarefied. 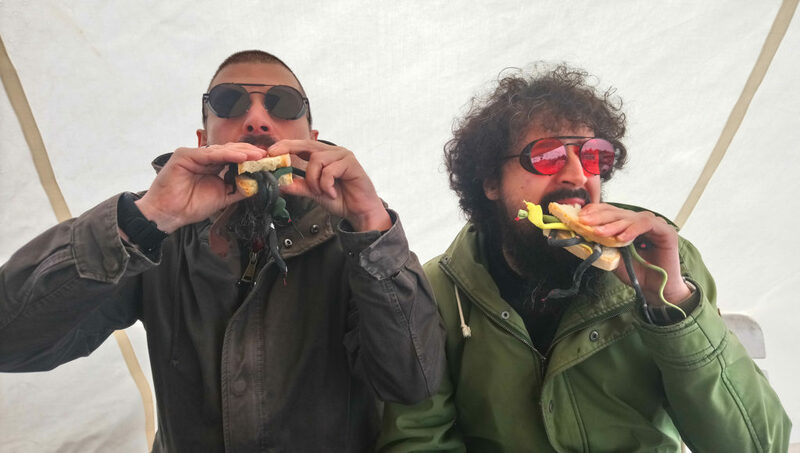 Il DuoSerpe nasce con la volontà di incrociare la musica elettronica con l’improvvisazione radicale in un progetto che ricorda molto la musica del duo nord-europeo di Arve Henriksen e Jan Bang. Le manipolazioni elettroniche, in tempo reale, fanno diventare il computer un vero e proprio strumento musicale che prende parte attiva all’improvvisazione. Il trombone viene registrato in tempo reale, riprodotto in modo ciclico e processato per creare paesaggi sonori su cui l’esecuzione musicale si forma, cresce, si intensifica o si rarefà.